Please see our all-new Leather Belt for full size range. - Made from the finest quality, heavy duty, black cowhide. 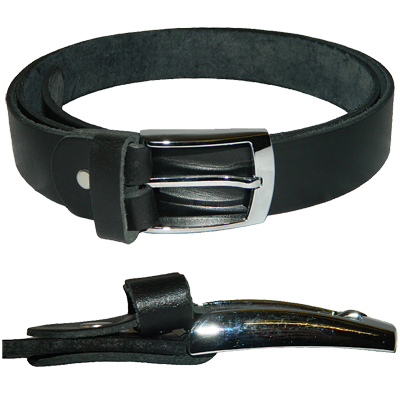 - Sturdy, heavy duty, detachable, chrome buckle. - Belt is 3.2cm wide and approximately 3mm thick.